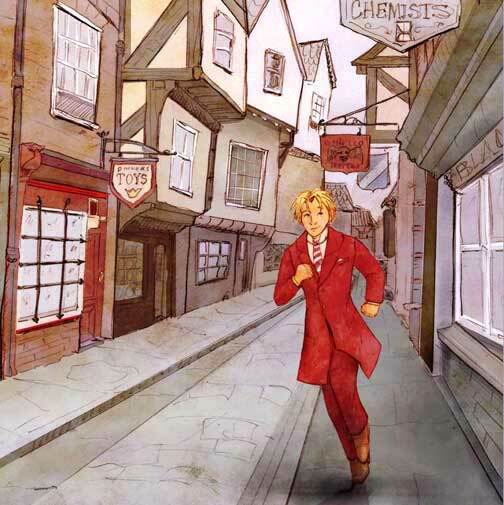 Patrin, the Toymaker's apprentice, is running to find his friend, Clio. 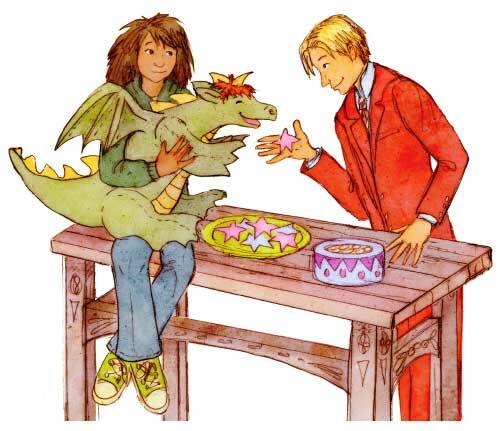 He is very excited because his uncle, the Royal Toymaker, has sent him on a quest to find the best toys in the world. 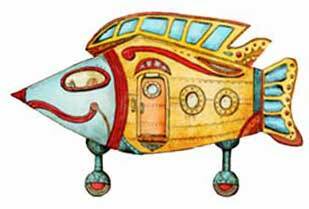 They are taking a flying Fish Car. Clio and Patrin are feeding Wilber, Clio's pet dragon a Star Crunchie snack before they leave on their around the world tour. Where will they go first?